I was excited to open the Hi-Tec parcel with a note saying: “Enclosed, Windy Point Shell, PLEASE TEST”. 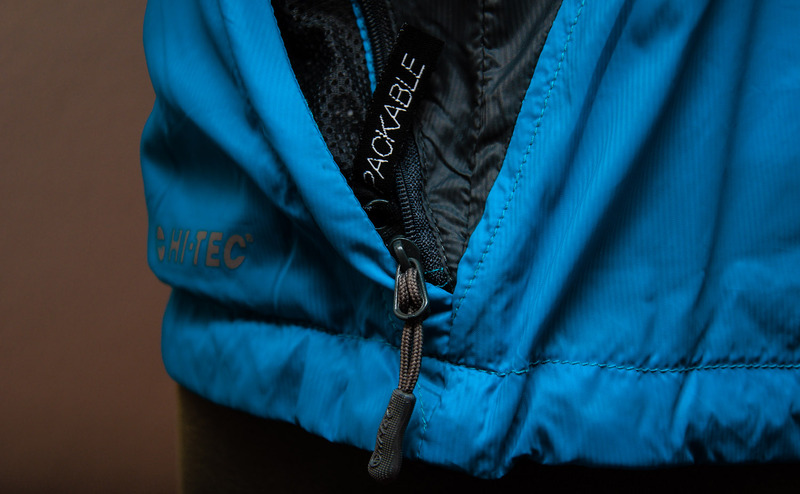 Hi-Tec was founded in 1974 in a village named Shoeburyness, Essex in England. So I understood where the given name for the shell originated from. The Windy Point shell is a ladies specific shell, which means it is contoured to fit the ladies’ curves, but it’s also an updated version of the Boreas Windproof shell, which is men’s windproof version. A size medium was sent in a Sea Blue colour way, which is refreshing and bright. It’s always interesting and exciting to see what innovative ideas the different brands come to light with. Hi-Tec in this matter designed a very straight forward shell for ladies specific with 2 zippered side pockets which you can use to keep your hands protected from the wind whilst chatting away half way through your run, stow away tissues, energy gels and… the left hand pocket is also a stow-away pocket for the whole shell to be squished into with a reversible zip as well – and this reversible pocket is no bigger than a small packet of cheese curls – how awesome is that?! #sizematters! Something I also noticed is that the zips have Hi-Tec grip tags, so it makes it easy to open & close the zips even though your hands are freezing and you have gloves on #innovative! 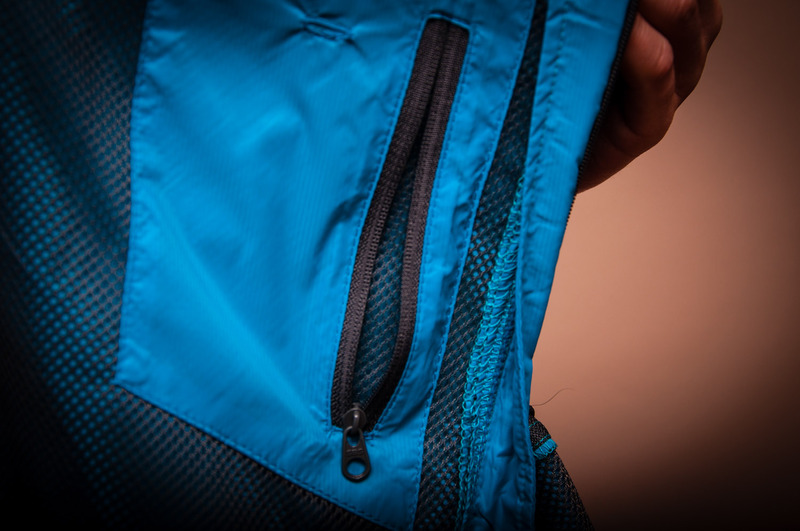 Investigating the Windy Point inside-out I found another zip pocket… and I was surprised, because usually a chest pocket is placed on the outside but on the Windy Point the chest pocket is placed on the inside. This is a nifty move because no one actually knows that pocket is there – it’s a brilliant hideaway spot for your credit card, money, a key, iPod or your smart phone because it being oblivious to the eye.